We often tend to overlook a very important factor while purchasing office chairs is whether they will be used on a soft floor, that means a carpeted floor or on a hard floor such as hardwood flooring, laminate or tile, vinyl or concrete. The choice between the two decides the durability and performance of your office chairs. There are two things that you should be considerate about; get the most of your purchase and have the casters working efficiently as per the flooring. • A dirty and worn caster in the chair could sprain your back and legs. • Casters that roll freely can cause unwanted accidents. • Hard casters can damage the hard floor. 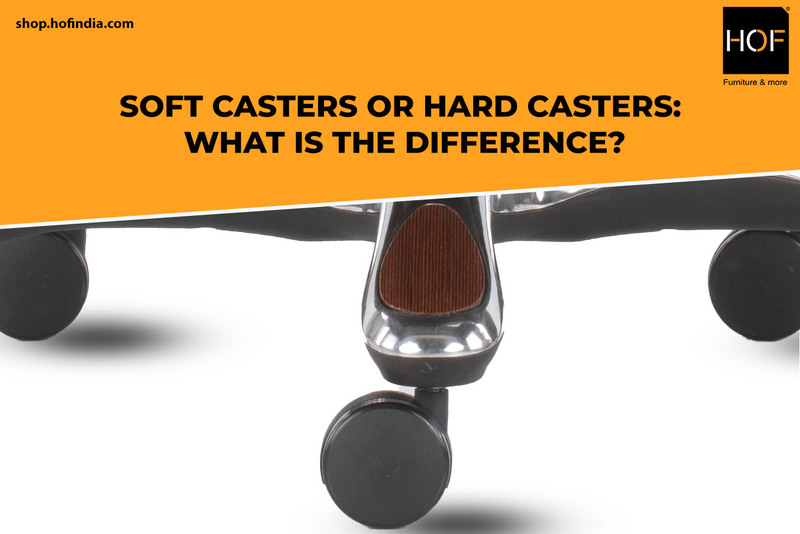 Hard casters are pretty standard on office chairs and it’s made for soft carpeted floors. However, not all industries are same, you can witness laminated flooring typically used for government offices and let’s not forget the decorative flooring we see in hotels, restaurants and healthcare facilities. Soft casters are ideal for hard flooring, there should be some traction on wheels to get along with the floor and for its smooth function. It’s quite similar to rolling a tire on pavement. If you didn’t have the rubber and just rolled on the rims, the ride itself wouldn’t roll at all. You should always take the type of flooring into consideration when exploring the options for your chair. Always remember caster rule of opposites; use hard casters for soft floors and use soft caster for hard floors. Casters should be periodically washed and cleaned to keep them from dust formation and debris build up; it will help them work properly and efficiently. HOF provides best deals with customized design services and exclusive discounts to deliver value and promise of a better workplace. We recommend you talk to our representative and have your all queries addressed. Contact us today. Visit shop.hofindia.com. We look forward to hearing from you.